Jimmy Deenihan, Minister for Arts, Heritage and the Gaeltacht speaking to Clare IFA's Michael Davoren after the Minister accepted the European Diploma of Protected Areas Award from the Council of Europe for the sustainable managment of the Burren at a ceremony held in the Michael Cusack, Centre, Carron. 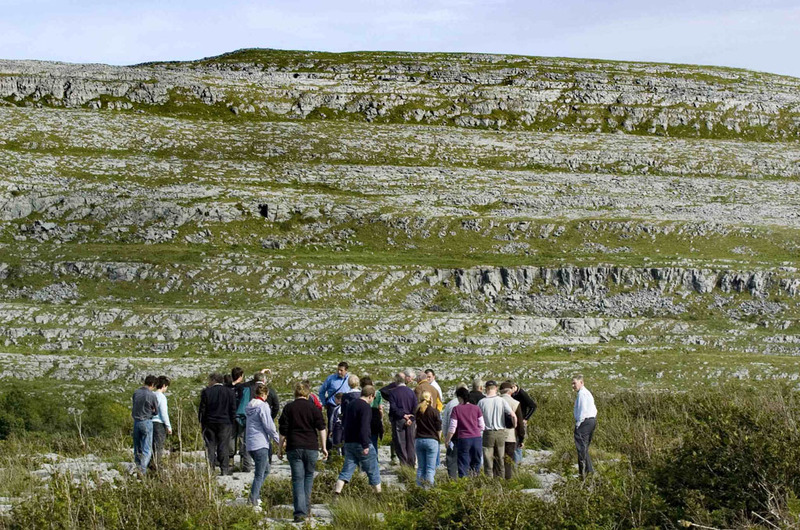 THE Burren made history this week after it was awarded a European Diploma of Protected Areas Award, the first of its kind in Ireland. 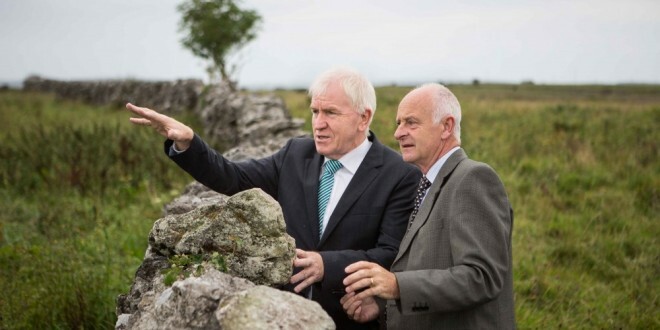 Jimmy Deenihan TD, Minister for Arts, Heritage and the Gaeltacht, accepted Ireland’s first ever ‘European Diploma of Protected Areas Award’ on Friday from the Council of Europe for the sustainable management of the Burren. 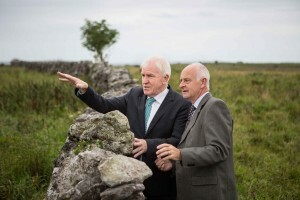 Professor Michael Usher, Chairman of the Group of Specialists for the European Diploma of Protected Areas, presented the award to Minister Deenihan in the Michael Cusack Centre, Carron. Jimmy Deenihan, Minister for Arts, Heritage and the Gaeltacht speaking to Clare IFA’s Michael Davoren after he accepted the European Diploma of Protected Areas Award from the Council of Europe for the sustainable management of the Burren, at a ceremony held in the Michael Cusack Centre, Carron. Created in 1965, the award recognises the work being undertaken to conserve some of Europe’s most outstanding natural and semi-natural areas. To date, 72 diplomas have been awarded and are held in 28 European countries. 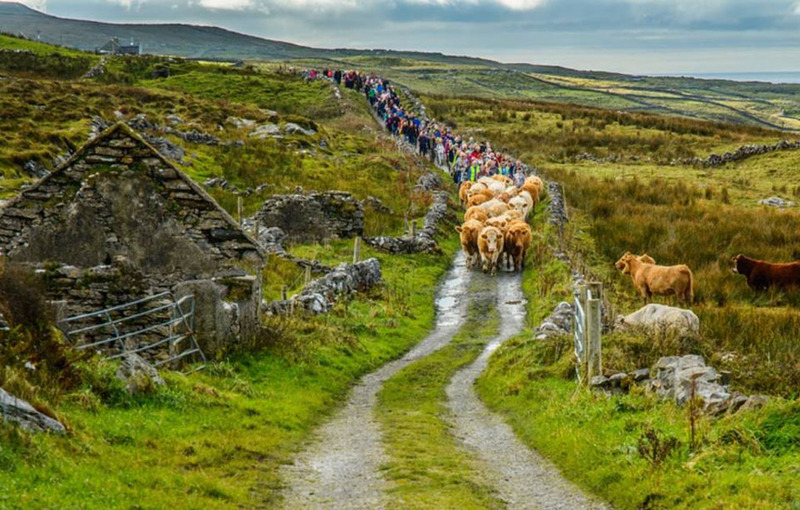 On July 10, the Committee of Ministers of the Council of Europe decided to award the European Diploma for Protected Areas to the Burren. This recognises the European significance of the area, which has remarkable natural values, a rich flora and fauna, an important cultural heritage, traditional socio-economic activities and good management. The Diploma is initially awarded for a period of five years, after which it can be renewed for further periods of 10 years. The award was welcomed by local farm leader Michael Davoren who said it was “a testament to what could be achieved when organisations worked together with mutual respect towards a common goal”.